I am new to the pool ownership biz, and getting very frustrated. 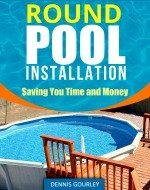 We bought a 24' round Aqualeader from a pool company, that bought them at an auction. We found out later that they had no experience with metal sided pools. We paid them to install it, turns out they had about as much knowledge as we did. They did not use any cove material, or even build the sand up the sides. We can feel give in the liner when we put our feet in the cove area. I have noticed the seam is coming apart, it is still sealed from what I can feel with my fingernail, but I wonder for how long? Hi Janice. It does look like the seam is pulling apart. It could stay like this or it could keep getting worse. Some liners have a little flap like that but it does not look like that one is supposed to. The weld covers a pretty large area and it might be just fine. If you can stick your finger up under the flap and not go all the way through it is at least holding for now. It is something to keep an eye on. As for not using a cove, are there any areas near the edge where you can feel metal under the liner? If the liner is resting on the metal footplates or the bottom rail I would drain the pool immediately and install a cove. The main purpose of the cove is to keep the liner off the pool parts, and to keep it from washing out under the bottom rails. The size of the cove is not a critical point, the liner just needs to be off the metal. 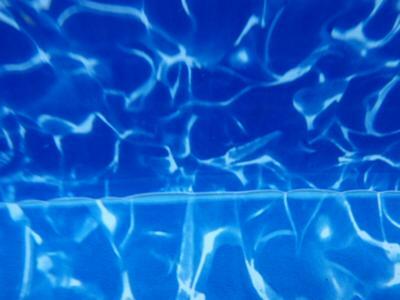 If you know there is very little coving in place you may want to put about a six inch birm around the outside of the pool just to be sure nothing washes out from under the pool.